EZ Dock knows that people like to explore natural habitats. The walkways are modified dock sections that can be configured to access areas such as wetlands. A leading manufacturer of plastic docks, EZ Docks provide a safe, eco-friendly environment for people to do just that—explore without disturbing the natural surroundings. 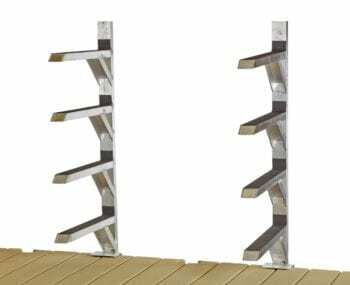 The EZ Trail system form EZ Dock is a smart way to crate accessible ramps and pathways in your woodland, wetland, or any other place you need a safe and durable walking platform. 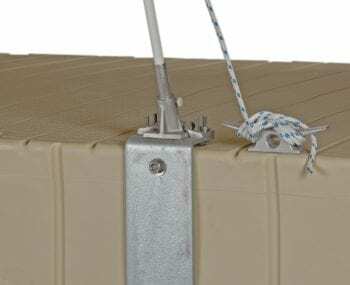 EZ Dock patented system is less invasive, and the large interconnecting, modular sections are simple to install. In addition, you can easily add sections as needed, or reconfigure your walkway anytime you like. Treated wood and foam-filled products can be dangerous to wildlife habitats, but EZ Trail utilizes only safe, non-toxic materials. The hollow sections provide stable flotation, and they can be suspended about vegetation during periods of low water, so as not to harm the habitat.